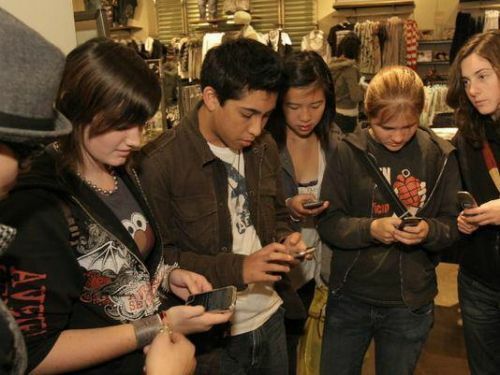 The American state of Colorado is considering a ban on smartphones for children younger than 13. His proposal would ban sales of smartphones to children under the age of 13. It would also bar sales to anyone who wishes to buy such a device for anyone younger than 13. The measure would also require sellers of smartphones to provide proof to the state government that they have asked buyers if the phone is for anyone under 13. The proposal only concerns smartphones, and not cell phones without internet service. The measure now needs about 300,000 signatures in order to appear on Colorado's statewide ballot in 2018. If it makes the ballot and is approved by voters, Colorado would become the first state to have such a ban. Tim Farnum said he decided to push for the measure after watching his own children struggle with the mental effects of always having a smartphone around. "They would get the phones and lock themselves in the room and change who they were," he told The Coloradoan newspaper. State Senator John Kefalas, a Democrat, said he understands the reasoning behind the proposed law. However, he told The Coloradoan that a child's smartphone usage is a "family matter" and not something the government should decide. "Ultimately, this comes down to parents...making sure their kids are not putting themselves at risk. Last year, the American Academy of Pediatrics released guidelines for media use by children. The group advised parents to limit time spent watching videos to no more than one hour a day of high-quality programming until age 6. After that, it said, parents should set reasonable time limits for their children and make sure electronic devices do not take time away from sleep or exercise. Many of the radio and electronic devices used are similar to those of artificial satellites. The Treasury secretary wants to harness shock and dismay to push for comprehensive change. The price of petrol is coming down by four pence a gallon. In the last month, they have canceled their satellite television subscription and their Internet service. 1. "Ultimately, this comes down to parents...making sure their kids are not putting themselves at risk. The doctor must not allow the patient to be put at risk. Millions of bank accounts have been put at risk by a leap in online fraud. 2.After that, it said, parents should set reasonable time limits for their children and make sure electronic devices do not take time away from sleep or exercise. Two men claiming to be police officers called at the pastor's house and took him away. In prison they'd taken away his watch and everything he possessed.